There’s been a lot of concern about the recent slowdown in China’s economy. That concern is understandable, since a downturn in the world’s second largest economy could trigger problems for Europe, maybe even another global recession. But there’s one aspect of Chinese prosperity that the usual metrics don’t capture: Chinese intellectual property. China is poised to become the world’s next IP superpower. It has all the necessary ingredients: an extensive system of research universities, lots of inventors, a decent business environment and a government that supports innovation. China produces about 26,000 PhD’s in science and engineering each year—more than the U.S. does—and patent filings there already exceed those in the USPTO. Although those applications tend to be of lower quality and weaker invention type than USPTO filings, 79% of them are domestically sourced. China also ranks second in the world in gross domestic expenditures on R&D. Government institutions such as the Chinese Academy of Sciences, the Ministry of Science and Technology, the State Intellectual Property Office and the Ministry of Justice are all aligned with the goal of putting China on the IP map. And China is at the center of a vital IP ecosystem that stretches from Singapore to Seoul, from Tokyo to Taipei. Just as important, China’s consumer demand is growing by leaps and bounds. 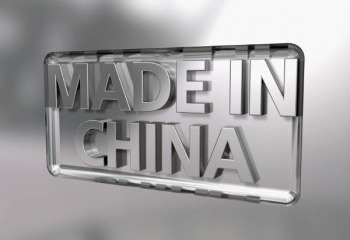 China already leads the global market in sales of mobile phones, TVs, and cars, and is on track to become the world’s biggest consumer of luxury goods by 2015. This is one of many trends pointing to a rising Chinese middle class that’s currently estimated at more than 300 million—about the size of the entire U.S. population. When you have that large of a consumer base in your own country, you can really plug into the kinds of inventions people want and need—and will buy. The demand creates an innovation culture that keeps inventors motivated, because they know there’s a good chance they’ll get to deploy their inventions in products. Remember, too, that market power is a necessary component of superpower. The US has enjoyed it for so many years now, we take it for granted. But consider the position of countries such as Japan, where private consumption is about one-third that of the U.S., and South Korea, where private consumption is a small fraction of Japan’s. Lacking a large domestic market, these countries are forced to rely primarily on exports for economic growth—making them dependent on US currency rates, debt and demand, as well as US IP and trade regulation. Their economic prosperity is not in their own hands. So what does all this have to do with IV? It’s clear that, even with the slowdown, China will continue to gestate new ideas and new tech companies at a prodigious rate. It’s only a matter of time before Chinese companies look beyond their national borders to the global market. And when they do, they’re going to need IP parity: a position in intellectual property that will give them both offensive and defensive strength in foreign markets. They’ll need not only to license but to acquire IP. And they’ll want to find a partner to help them develop and execute a global IP strategy. Companies like IV, with large inventories of IP assets and the capability to both generate and acquire more, are perfectly positioned to capitalize on the emergence of China in the global IP market. In turn, we can provide efficiencies to help accelerate their entry into new markets. The US is still likely to be the largest inventive force on Earth. It just won’t be (almost) the only one. As homegrown innovation cultures take root, more countries will want to become IP players on the global scene. They’ll all need a trusted partner to coach them in understanding, developing, acquiring and marketing intellectual property. Their success will be a rising tide that lifts all ships. The problem of head trauma in football is getting lots of attention – and for good reason. While it’s still unclear whether helmet technology can ever prevent concussions, inventors are hard at work on new technologies that could make football safer.